Scott Elmer is Director, Office of Technology Licensing, at St. Jude Children’s Research Hospital, one of the leading pediatric cancer hospitals in the country. The institution is focused on treatment of and research on children’s catastrophic diseases, particularly leukemia and other cancers. The hospital costs about $2.8 million a day to run and is 100% free to patients. St. Jude and more than 46 of its staff have been the recipients of prestigious awards and achievements, including the 1996 Nobel Prize in Physiology or Medicine, which went to St. Jude faculty member, Peter C. Doherty. What Elmer is talking about has been well documented on IPWatchdog over the last year. The Cleveland Clinic, for instance, has been delivered blows to important diagnostics by the Federal Circuit time and time again and denied review by the Supreme Court. At the Patent Masters™ Symposium in late March, attendees from the biotech and pharmaceutical industries warned that would-be U.S. innovation is going overseas because of the challenges and uncertainties around patent eligibility law. While Elmer was quick to explain that St. Jude’s mission and operations remain unaffected by this hostile legal landscape, he said that patenting strategies are necessarily changing—i.e. focusing on obtaining patents overseas—and partnerships with industry are becoming increasingly difficult. For institutions like St. Jude, such partnerships are key to getting these important inventions disseminated to the broader population. Below, Elmer describes in more detail some of the practical effects of U.S. patent eligibility law on his institution and the broader industry. What has been the practical effect of the present U.S. patent eligibility landscape for you? As with all academic institutions, we have to make decisions about pursuing patent protection at a very early stage, before our inventions are publicly disclosed. Current patent eligibility concerns tend to tip the scales against patenting. Uncertainty about being able to get a patent and license it weighs against pursuing diagnostics and computer-implemented inventions—at least in the United States. The situation is different outside of the United States, so we have entertained the notion of pursuing some of these inventions outside the United States instead. That is a sea change for us, and for most U.S. academic institutions. Usually, we will file inside the United States, and do not pursue patent protection outside the country unless we have a licensee subsidizing patent expenses. How is this “sea change” affecting the institution and your research? This is not affecting our research or what we do at St. Jude—we’re still researching and we’re still publishing—but it makes it more difficult for us to partner and collaborate with industry. Industry has the option of using trade secrets, and that appears to be what’s going on in this realm; patents are usually the glue that brings us together. If you can’t partner with industry as easily, what is the effect for patients? The short answer is that this issue is not having a practical effect on our patients, because our research continues as it always has. The longer answer is that, to the extent our research does not get translated into more broadly available diagnostic tests by industry because of the absence of patent protection, it is having an adverse effect. How optimistic are you that there will be a fix for diagnostics in this realm going forward, whether through prosecution strategies, court rulings, or Congress? 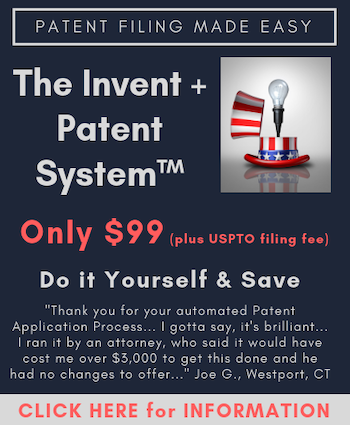 Patent attorneys have found some fixes to get their claims allowed in this space, but the fixes I’ve seen often significantly limit the value of these claims because they narrow the scope of protection or open them up to the problem of divided infringement. I’m pessimistic about the prospects for Congress or the courts resolving the issue. It appears that a legislative fix is needed, and that’s not something that is likely to happen quickly. In addition to a more consistent 101 position, I wonder if the other jurisdictions have more consistent patentability standards in general. I took a look at molecular biology examiner performance earlier this year in US class 435. Even in the same art unit, you can have one examiner granting 1 allowance for every 3 office actions and another granting an allowance for every 30 office actions. One allowance per 30 office actions means you could have 15 years of prosecution to get a patent. It raises the question of just how uniform the patentability standards are from one examiner to the next. If a diagnostic methods is patented in another country outside USA, the US medical system can freely use it within US for the benefit of US patients without any licence fees as the patent is invalid in US. I would say that is greatly good for US citizens and such a state deverses to be continued ? Also, if you are already committed to do the medical research, as the interview we seems to be, the best possible outcome would be to file for a US patent and get it struck down. You make a good point if there was no investment required to bring a new diagnostic method to market. With medical technology, however, there is enormous investment required after the invention/discovery is made to demonstrate that it is safe and effective. If you can’t protect your invention, who will make the investment to prove that it is safe and effective?